AskPCOS is the first App dedicated to the condition of Polycystic Ovary Syndrome (PCOS) that is based on the best available evidence. 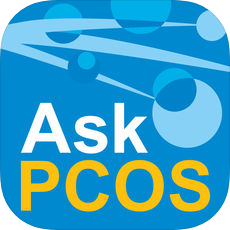 AskPCOS is the most trustworthy and comprehensive PCOS App available that was developed by the leading PCOS experts from around the world and co-designed with women with PCOS. It will answer all of your PCOS questions and help you better manage your condition. AskPCOS is for women and girls who think they may have PCOS, those who already have a diagnosis, and for those supporting women with PCOS. AskPCOS is essential for women wanting the best available information about PCOS. If you have questions, complaints or feedback about the AskPCOS app, please contact us. Authorised by: Chief Marketing Officer, Strategic Marketing and Communications. Maintained by: FMNHS Webmaster Team. Last updated: Sep 2018.